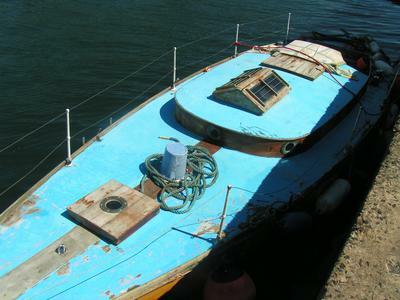 Below is a selection of DIY Woodboat Restoration Questions posted by concerned boat owners. Feel free to scroll through the list, Your problems may already have been addressed. Or if you have any answers or suggestions to make, please click on the question and join in. to ask your Woodboat restoration question. Robert is hoping someone can advise him on sealing the seams of his plywood Mirror. Can anyone help Wade with information on his15ft “Borum Star Chief”. 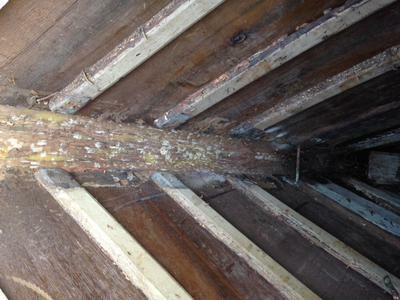 Steve would really appreciate some advice, please, on the caulking on his 1907, Clyde built “Tresta 2”. Tom is looking for any information or advice he can get about the restoration of his 20' Lapstrake Grew Cruiser. Wayne is looking for advice on Repairing/Replacing the Stem on his 1964 24ft Chris Craft. Bob wants to know how he can stop his transom from checking. Paul would like to replace 12 inch wide, rotting wood seats with lumber that will be able to withstand the elements, any suggestions would be appreciated. Ben is seeking help and advice on restoring a 1949 William Atkins Double Ender. 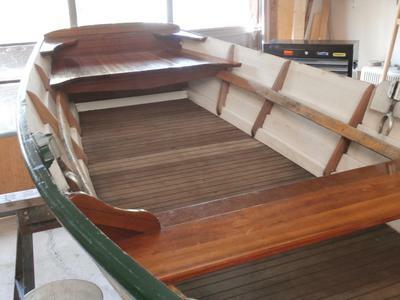 John wants to fill in some seams on his wood strip mahogany wooden trawler. Barb’s "new" windshield doesn't lay flat because the bow deck has a pitch. How did you get a good fit? 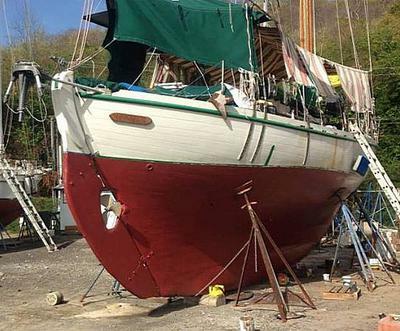 Jon is looking for advice on replacing the ribs on his 23ft gaff rigged cutter. Lisa wants to know if she can still get parts her 1958 22 HP Scott-Atwater motor? Scot has just acquired a beautiful looking 1959 Century Resorter and needs some advice on getting her back into good order. 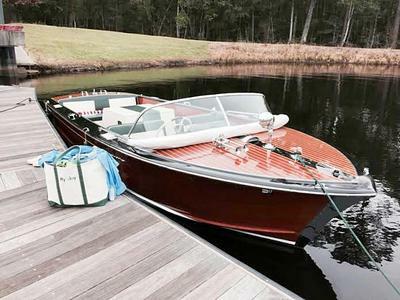 Is this $400 boat with a twist in the keel a bargain or firewood? Is this the early stages of rot on the 1963 Greavette, Executive Model "Shelley Ann"? 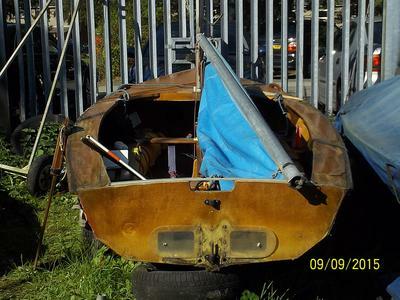 Elaniece would like some advice on restoring this 1961 Cruisers M202 project boat. Jason is concerned about splits and cracks appearing on his 18" wooden clinker sitting on a trailer in his drive way. Mike needs advice on reinstalling the windshield on his 63 Chris Craft Ski Boat. The splined seams of Allan’s 30ft sloop have opening after drying out, should he worry about it? Fred has a question about caulking his old classic boat built in 1947. 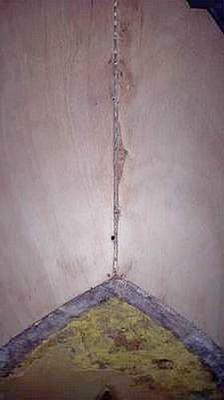 What kind of preparation/sealer should Bernie use to seal damaged plywood? Bob would like any advice on the repair or replacement of the transom on his wooden sailboat. 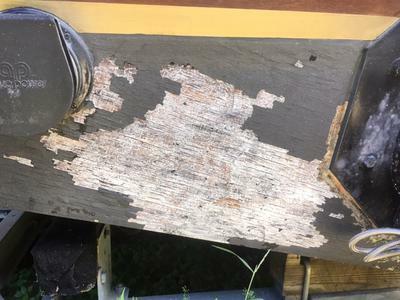 What is the best method for sealing the plywood hull of a 1963 Owens Cabin Cruiser? Gene has a rot problem on his 18ft Thomson Lapstreak, any advice would be greatly respected and appreciated. Can anyone refer Hugh to someone in Dallas/Ft Worth that is familiar with repairing a 1962 Century Resorter? Curt is looking for ‘taking up’ advice on launching his 1960 Shoup Princess. Paul has a problem with using antifreeze for killing rot spores. Brendan wants advice on how to replace the stem of his 43' plywood Tripcony Bay Cruiser? Graham wants advice on protection his wooden Enterprise while he is restoring her. How can Jimi adjust the steering wheel alignment on his 1963 Century Resorter? 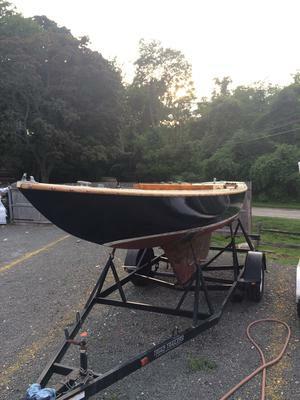 Tyler has questions about re doing the whole bottom of a 1952 mahogany lapstrake 20' Grew SeaMaster Utility. Does anyone think the removing of a steel channel added to a Chris Craft 1964 Cutlass keel be a problem? 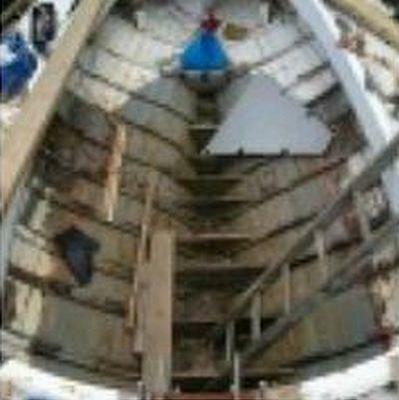 Larry has a question about preparing a bare wooden hull and topsides for winter storage. Jared has a problem with the motor mounts on his '63 Chris Craft Cavalier. How do I adjust a 1963 Century Resorter steering wheel alignment. How do you remove windshield safety glass from a teak frame on a 1991 fortier 26.? Jim would appreciated advice on restoring his Wagemaker Wolverine. 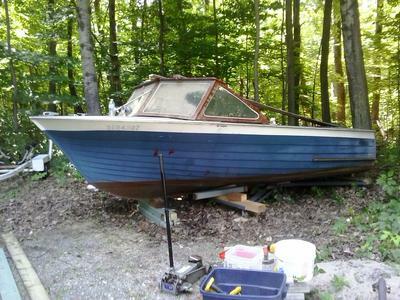 Carl has questions regarding the restoring of the wooden keel on his 24' Penn Yan Seabird. How can Jim remove fiberglass from his Wagemaker without damaging the plywood? Charles is replacing the plywood bow deck of his '63 Tolycraft Roustabout, any suggestions or pointers? 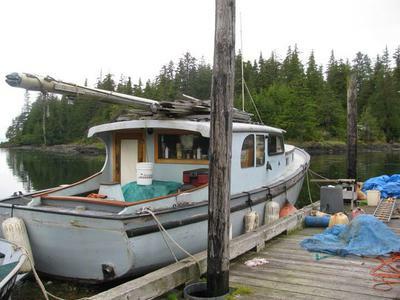 Bill is looking for advice on caulking and painting the bottom of his 65ft Douglas Fir Fishing Boat. Robert has a question about the repairing a stringer on his 1955 Whirlwind. 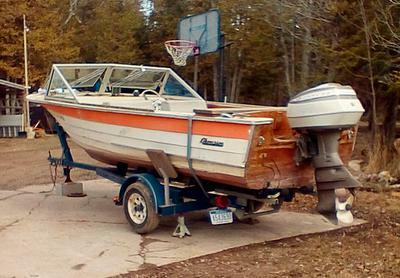 What preparation is needed on a 1967 40 foot Chris Craft before taking it out of the water? Bryan want's advice on the feasibility of restoring a 60' trawler built by Peterson boat works in 1953. Dave wants to know if he should replace the canvas when replacing the decks of his Chris Craft. Dan is wondering the best way to remove the fuel tank from his Owens Sea Skiff for cleaning. Michael wants to know how to add new ballast to a wooden sailboat. 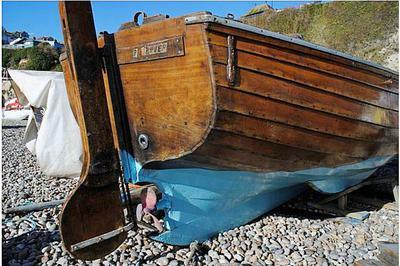 Lyn need's advice on the transom repair of a 1963 Thompson Sea Lancer. 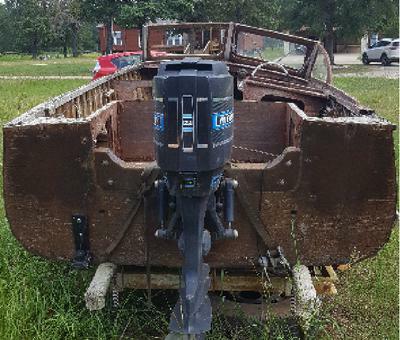 David is looking for advice on replacing hull planking on his 1956 Century Resorter. 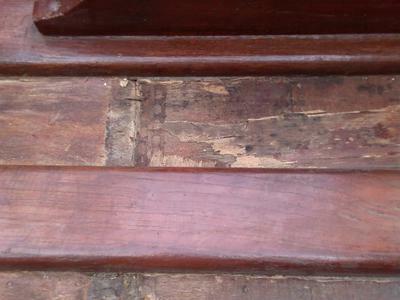 Should small cracks in the transom of a 1956 Peterborough be caulked or glued before varnishing?